 The Nian Mita project is located in Middlebush, Tanna. This is a relatively densely populated area and has been the location of Nasi Tuan’s previous Nuan Nipikin project. Most community members are subsistence farmers who are actively involved in cultivation of staple foods/crops such as yam, taro, cassava, sweet potato, banana and kava which they use primarily for home consumption, cultural events and the surplus is sold for cash income. The average rural family would earn approx. NZ$40-60/month. The income earned by a family is used for primary needs such as school fees and essential items such as soap, oil, salt, kerosene, transport and hospital fees. Coffee is the main cash crop and Middle Bush is the area that produces the most coffee on Tanna/Vanuatu. TCDC predicts that there will be 80+ tons available for harvest in 2014. Additional income is earned through seasonal work in New Zealand with many families using this money to pay for school fees or housing materials. Middlebush is prone to cylones, waterlogging (due to location on a plateau), prolonged dry seasons (predicted to worsen due to climate change) and ash fall from the volcano that can from time to time destroy gardens. To empower indigenous communities onto greater self-reliance through training and demonstration of culturally appropriate and environmentally sustainable agricultural practices. Communities self-management and Nasi Tuan’s human resources are strengthened in the areas of health and sanitation, financial management and internal control systems. Communities are given practical tools for coping in the initial post disaster period. Improved quality and quantity of produce and byproducts have resulted in increased food security and sustainable market opportunities for Nasi Tuan and targeted participants.